Therapeutic recreation specialists apply recreation to assist with the treatment and/or maintenance of the health status, functional abilities, recreational and leisure activities. The Oklahoma Therapeutic Recreation Specialists Committee is happy to welcome you to their new website. We hope you find much useful information. 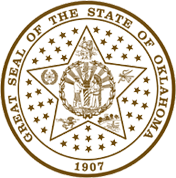 We are grateful to the Oklahoma Board of Medical Licensure and Supervision for the support of this site. According to the Oklahoma Therapeutic Recreation Practice Act, a "therapeutic recreation specialist" means a person licensed to practice therapeutic recreation in the State of Oklahoma. "Therapeutic recreation" or "recreation therapy" means the specialized application of recreation to assist with the treatment and/or maintenance of the health status, functional abilities, recreational and leisure activities and ultimately quality of life for individuals hospitalized and/or receiving treatment for various diagnoses and individuals with disabilities. 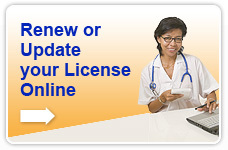 Download INSTRUCTIONS FOR LICENSURE THERAPEUTIC RECREATION SPECIALIST - updated August 2011. Download Proposed change to 435:70-1-4(d) removing 3-term limitation on committee members.